Dangerous, confined spaces are the stuff of horror films and cringe-worthy moments on screen, and there’s a reason. Depictions of people trapped in a confined space not only play on a natural human tendency toward claustrophobia, but they also reflect a very real danger in the workplace. As such, OSHA has implemented a system of “confined space entry permits,” hoping to help increase worker awareness and avoid common types of injury and death associated with working in a confined space. In this blog post, we’ll cover everything from the definition of a confined space, to the details of a fully developed entry permit system. 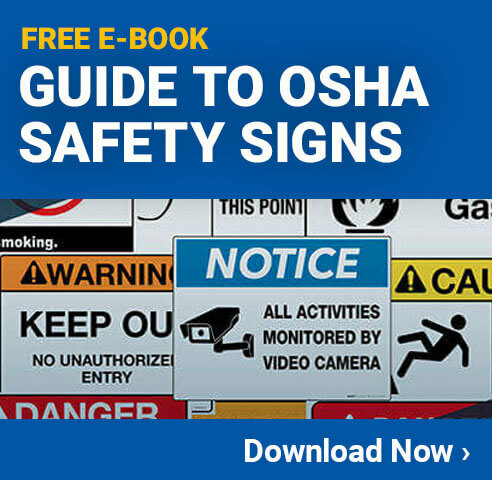 While the question may seem elementary, OSHA does adhere to strict definitions for confined spaces; this is important to know as a safety professional, as you’ll need to be aware of which spaces require you to adhere to OSHA protocol and which don’t. Basically, a confined space has to be a place that’s large enough for a person to work and perform their job within, but is not intended for long term occupancy by workers. The third and final criteria is that the space has limited means of entry and exit. In short, the space is a place that someone can fit and work in for a limited time, but which impairs mobility and might be difficult to enter and, more importantly, exit quickly. The space is comprised of or contains a material that could engulf a worker who enters. The space has any kind of “internal configuration” that might present an additional risk of injury or death by crushing or asphyxiation; this could include sloped or moving walls or parts, etc. Or if the space contains any other serious health and safety standards as recognized by the on-site safety professional. The purpose of a confined space entry permit, in these cases, is to make workers entering the area aware of the risks at hand by forcing them to run through and acknowledge them before they enter the space – this also places accountability on the individual employee. The permit system is largely a mental exercise, and depending on how much attention a worker is paying, he or she will get more or less out of completing it. We’ll touch more on this later, but it goes to reason that an employee who consciously reads each item, rather than running down the list and checking it off, is more likely to actually keep hazards in mind while working. OSHA has specific requirements for what an entry permit needs to contain when implemented (basically, these are the items your workers are supposed to consciously acknowledge and be aware of before entering a confined space). First of all, you need identifying information like employee name, anyone supervising/authorizing the entry, and signature(s). Next you’ll need any test results (such as those for gases or atmospheric hazards). Purpose of entry and any known hazards for that particular space. What steps have been taken to minimize risk of injury and damage or to control for the known hazards. Emergency services info, along with the means and method in which they should be contacted. Any communication equipment or protocols that need to be taken or maintained while working in the space. Any required personal fall protection equipment or systems (fall-arrest, etc.) the worker is required to use while working in the confined space. Any other special permits or requirements for entry. In short, each and every permit issued should represent a complete run through of everything an employee could possibly need to know before entering that space in order to keep themselves safe. These permits are expected to be updated with changing conditions, regulations, and worker circumstances. Of course, handing out papers to be signed and skimmed over doesn’t exactly work miracles, so let’s take a look at some ways to take your permits from pieces of paper to a full, effective system. Training: While being aware of risks and hazards is great, knowing how to deal with them is a different matter altogether. Managers are expected to provide extensive training on how to work safely within a confined space before ever issuing permits, no matter how detailed they may be. This training should be refreshed frequently, especially depending on how risky a particular job/space is, or immediately if any major condition changes occur. Records of training should be easily accessible, including information like dates, employee names and signatures indicating they acknowledge their training, along with a record of who administered the training at the time. A Spotter: You might take a page from the power-lifter’s handbook and require an external spotter or assistant to help keep an eye on employees in enclosed spaces. When applicable, this could mean someone watching all around the employee and helping them to avoid risks that might be obscured by a limited field of vision within the space. Even though this means two employees are essentially on the same project, the job can go faster if the spotter is able to provide confidence of movement, give and take tools and equipment, and provide peace of mind for the first worker. A Written Program: No confined space entry permit is worth its weight – OK, admittedly, that isn’t much to begin with – without a written plan backing it up. Decisions about what information to put in a permit should be based on evidence and real testing conditions, rather than conjecture, and a written safety plan helps to document how you arrived at various conclusions. Writing out and reading your rationale can also help you internalize it, and for this reason a written version of the highlights of training and your confined space entry permit program should be posted in an easily viewable place for your workers. Of course, a written plan is also expected by OSHA and state-level workplace bodies in most cases, so this should really only be an addendum to what you already have on record. Supervisor Presence: Technically, and following OSHA’s guidelines to a T, a supervisor is the one to fill out a permit, which is issued to or for an individual employee. Of course, while the supervisor should make sure the permit is filled out correctly, it makes a lot more sense for the employee themselves to work through a permit – which is why this article has assumed as much in previous paragraphs. While you can approach this in any way you like, there should be some individual accountability on the part of the worker that requires them to take conscious notice of risks; this, I believe, is the difference between a confined space entry permit being a bureaucratic formality and a genuine safety tool.